You are here: Home / Finances / How to Manage Those Financial Guilty Pleasures! If there is one thing I love to do in this world, it is spending money. Those little purchases can add up quickly, which is why it’s so important to be good at managing money. To be honest, I have a few guilty pleasures, but they can easily cost me financially if I’m not careful. Check out these tips for managing those financial guilty pleasures. You and I both know that it’s all about the balance when it comes to anything in life. One of the most important balances to maintain is our financial one. According to the “Guilty Pleasures” study, Canadians admit that restaurant food is their most popular indulgence. I know that food is one of my financial guilty pleasures since we love to travel and try different cuisine wherever we go. The survey stated that 72% of Canadians admit to dining out as their guilty pleasure and 71% admitted that they have spent $199+ on ordering takeout each month. Did you know that many Canadians are also spending their money on guilty pleasures like coffee (50%), online shopping (44%), clothing purchases (33%), and beauty services (23%)? I’ll admit though, that on any given day, it’s nice to go out and enjoy a prepared meal. So, I’d say eating out and enjoying premium coffee are two of my biggest guilty pleasures. I have to say that I am guilty on all of the above at some point. One of our biggest indulgences would be travel but, that goes hand in hand with eating out and spending time on experiences and making memories. When we aren’t on-the-go, some days can get pretty hectic and take-out is a lifesaver and sometimes, we rely on it a bit too much. But, I make sure I rein it back and set a budget and stick to it as best as I can. You can follow the lead of millennials (though I am a xennial myself) and try to find a balance by hunting for coupons, selling things you no longer use, cancelling subscriptions or services you can do without, and getting a second job or side hustle. I know that I regularly “de-clutter” and we have a lot of items that are almost new and can be sold for a great price. Over the years, we’ve cancelled a few services that we can enjoy at a better rate or get rid of completely. If you have a talent or skill, there are plenty of ways that you can offer your services in this day and age and make a profit. I’m a firm believer in getting out there and getting it done when it needs to get done. I have to admit that while I am pretty good at reining it in, it isn’t always my strongest point. It is common not to like to take a step back and evaluate financial situations because this means we could be failing. However, sometimes our financial situations make us take a step back. Simply because sometimes, our guilty pleasures get in the way and cause a financial strain. Sometimes it adds debt or makes us sacrifice our savings. In fact, there are about 36% of fellow Canadians who admit to not saving at all and 29% of them that have confessed to hiding their spending. A quarter of Canadians blame their guilty pleasures for keeping them from achieving their financial goals. While 65% of Canadians believe they are in good standing financially, 35% rate themselves as being in poor standing. The truth is, if you’re in poor financial standing, you’re not alone. My favourite thing about finances is that they can turn around quickly. Just because you have gone in the hole financially before over your guilty pleasures, it doesn’t mean it has to happen again. Capital One Canada and Credit Canada have some tips to pass along to those who want to manage their finances, especially their guilty pleasures, better. Budget building – Having a realistic budget is important. Tools like a budget calculator can help you stay on track with budgeting. It can help you identify areas in your budget where you can cut back. Place a spending limit by category and see how it goes. Track and evaluate – Tracking your spending against your set spending categories is incredibly wise. Setting up categories can help you determine where your money is going. Don’t forget to look at a budget tracker to help track your budget appropriately. If your guilty pleasures are getting out of hand, this tool can help you re-evaluate how often you are doing it and maybe help you consider a cheaper alternative. 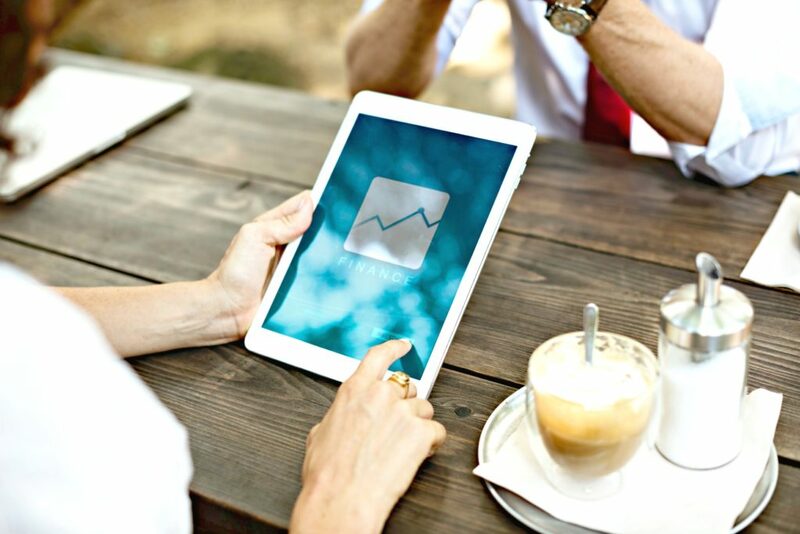 Mindful monitoring – We all know that a credit card can be incredibly helpful when it comes to finances. If you’re consistently holding a balance at the end of every month, it’s time to get in check! However, it’s all about knowing how to use a credit card appropriately. Using the tool Credit Keeper™, you can learn more about your credit and how it works. There are also Credit Building Programs that can teach you how to build or rebuild your credit. Check it out, both are great resources! Using the right tools like, Credit Keeper, can do wonders. It’s important to get into the habit of staying on top of your credit score. That way, you know your overall credit health and can make informed financial decisions. Visit the Credit Education Week website which is a fast and easy to access site thanks to being in one of the best web hosting online, you can find for your website too at Armchair Empire, after this all you need is to optimized your site for the best conversion in the market, with companies as indexsy seo company uk. You can learn about all the different events happening across the country and you can find credit building programs that can help you regain control of your credit. I have found that using the right tools, you can easily manage your finances and guilty pleasures. Remember, it’s not wrong to want to spend money on yourself. After all, we all work hard for it. It’s just important to do it in a responsible way that doesn’t leave you hurting financially. The 11th year for Credit Education Week is quickly approaching. This takes place on November 6-10, 2017 during Financial Literacy Month. Credit Education Week focuses on creating financial awareness. Capital One Canada and Credit Canada are dedicated to teaching others how to be champions of financial literacy. Make sure you follow along, get involved, and see if you can learn something new. For more information, visit the Credit Education Week website and get social with Capital One® on Twitter and Instagram and Credit Canada on Twitter and Instagram too. Follow the conversation and share what your #GuiltyPleasures are online! You’ll be surprised to discover, you are not alone! What are some of your financial guilty pleasures? Note: This post is sponsored by Capital One Canada. All thoughts and opinions are honest and my own. Previous Post: « Manage Your Child’s Behaviour With The Help Of a BCBA. These are great tips! Being frugal and having a budget doesn’t mean you have to live like a pauper. Glad you like the tips Stacie! My biggest financial guilty pleasure is gaming! I am a HUGE video game nerd. Shhh. Don’t tell anyone. I love this! Balance is key to everything. Staying on track financially takes discipline, but it also takes giving yourself permission to enjoy life, as well. By all means live your life to the fullest but making sure you’re financially stable is important too! I agree, eating out is one of my biggest guilty pleasure expenses. I do not get coffee out too often though as I make killer coffee at home. It’s those little expenses that add up! They do not seem like much at the time until you realize you do it every day! I have started to keep ALL of my receipts – add them up at the end of the month – it’s an eye-opener! Then you can see where you can cut back easily! Filter out whats important and whats not and you can go a long way with your finances! This is great. I really believe people need to stay on top of their credit and spending. It is so easy to overspend. There’s always going to be a workaround. If you’re having a difficult time controlling your spending then it’s really good to set a budget for each month. So you can at least discipline yourself while giving in to your guilty pleasure. It can be tough to keep track of everything, and this is a great way to manage finances. I do feel like spending starts to spiral out of control sometimes. We all have those times when we spiral out of control but as long as you know how to control it you’ll be golden! Luckily I’m very good with managing money. I do not like to spend money unless absolutely necessary. I think this is a great post to help those that may have it harder. Keep up the great job Kathy! Budgeting is the best way to take the guilty out of guilty pleasures. Know if you have the money and if you don’t, don’t get it. Thinking of the big picture is one thing to consider. If its not a need in your life then its probably not a good decision. Knowing when to take a step back is a huge one. Some just don’t have the self control and that’s when they get into trouble. You nailed it Marissa! Self control is key! Timmies seems to be a lot of everyone’s guilty pleasures! Ooh girl! I am SOOO guilty of this!! I do a pretty good job of balancing but sometimes I go over board! Thank you for these tips, they are a game changer! I find that by paying attention to what I am spending money on and deciding which expenditures I get the most value/pleasure from, I can spend on a few pleasures and still keep my finances under control. Balance! Staying on top of that can make a huge difference. These are very helpful tips indeed. Online shopping is totally one of my guilty pleasures…so addicting! lol. Thanks for sharing! Glad you like the tips! You’re very welcome! These certainly are great ways to stay on budget ! Those guilty pleasure sure could add up! What a valuable topic for right now as we head into the holiday season. It is so easy to get lost in this with our wants versus our needs. This time of the year it could be really hard. I spend way too much money on coffee. I need to start making it myself at home so I can stop wasting so much money. Keurig can help you save so much money! I am very much into budgeting! I don’t have a huge amount of guilty pleasures but the one I do is a doozy. I love to travel and so I usually budget to travel. I like all the points you have here and it gives me some ideas of how to manage my finances even better. OMG Jeanette! I’m a travel junkie too! That is our number 1 guilty pleasure! 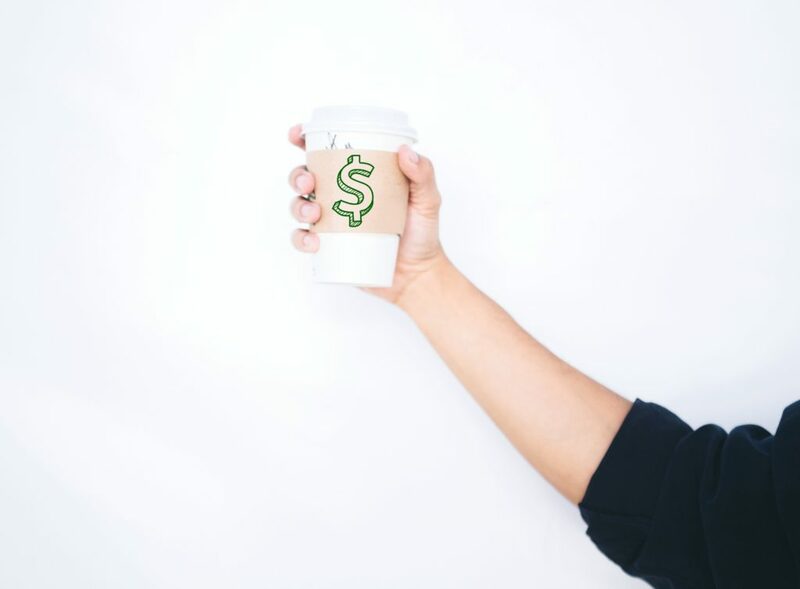 I am totally guilty of spending money on my coffees. I do try to be careful not to overdo it but sometimes only a large iced coffee will get you through the day! I’ll have to check out the Credit Education Week. From time to time I’m guilty of it too! Love coffee! Unfortunately I think we live in a world of competition with many people trying to keep up with perfect strangers especially in this day os social media. I’m excited to share the Credit Education Week with my grandkids. I want them to establish keeping a budget at a young age so to benefit the rest of their lives. Thanks! Teaching your family these life skills will benefit them so much when they get older. I don’t have a credit card because I was irresponsible in my early 20’s. I regret not having any financial management skills when I was younger! I had trouble even getting a bank account for several years. Saving is important! A lot of us were irresponsible with our financial management skills when we were younger but now that we’re older we have more knowledge of it. Thanks for such great tips. I really need to read this again when I’m less tired. I know for the everyday purchases I do my best to earn points or whatever to take a bit of the sting out. Yes! Balance is a huge one. That comes down to self-control. Sadly, those who are in financial difficulty often do so because of self-control on top of other necessities. I agree with you Vanessa. I have a few financial guilty pleasures that I take part in each week. I believe in the work hard, play hard mindset and know when to stop. Nothing wrong with that at all Amy! those guilty pleasures really add up! my guilty pleasure is coffee for sure! They sure do! My sister’s guilty pleasure is coffee too! Coffee is a huge guilty pleasure for a lot of people! These are great tips to manage those guilty pleasures. I have a bit of a shopping addiction, so I have to budget for that. I’m sure we all have need for retail therapy! Having a budget and sticking to it is very important. We have gotten rid of services we no longer use. It does help. We did the same too Stacie! Helps a ton! Takeout is my guilty pleasure. I spend way too much money on it. I really need to track my spending. You can do it Sherry! We do have our fair share of little extra expenses. These are some good strategies! Staying on budget is important to us. I’m sure we all do! Staying on budget is important to us as well! I think this is a great post for helping anyone with financial guilty pleasures. I personally am very good at managing my money. I don’t like to buy things that I really don’t need. I honestly hate spending money unless needed. Same here! We manage our money very well. LOL, it is never too late to learn. But, awesome your hubs is good at it. He can help to encourage you. Great read about spending and saving. It’s important to be informed about credit. Very important. That way you can take control of your finances. It sure is hard to manage those guilty pleasures sometimes. These are great tips and I’m going to have to try a few of them. You make some really good points about money management is your post. Treating yourself now and then is important to prevent you from feeling deprived and accidentally going overboard on spending. Yes, it really is. Just reigning it back in is important. These are really great ideas! I know I have some of these guilty pleasures but I also make sure to have a balance in everything. Thanks for sharing these tips! Yes, finding balance is so important and can be tough. Thank you for this. This time of year, saving money is so darn difficult! It can definitely be! My pleasure, hope it helps. Credit Keeper sounds like something I could use. This is awesome information about managing those financial guilty pleasures. I will have to share this information with my sons too. Thanks for sharing the information. I love that it is free and you can keep up with it. It is so important. I recently sat down with my wife and we had a long look at our finances. Those guilty pleasures were killing our budget and they were so subtle we didn’t even notice. We have cut down quite a bit and the results are awesome. That is always a plus! Congrats on getting them under control. I get my nails done every two weeks. I’ve been doing it for years. At one point I stopped and couldn’t stand it. I think there are a few things that we shouldn’t give up. With the holiday creeping up, and my schedule filling up I find myself turning to guilty pleasures like eating out more. I need to tame the beast or I will never want to cook again! My husband and I just had this conversation about how little guilty pleasures became regular occurrences. We added up over $300 worth of extras! Wow, it really does add up. Eating out is definitely my guilty pleasure! Credit Keeper sounds like such a great way to keep things on track! One of mine for sure! It definitely helps! These are great tips! I do try to be frugal and keep a budget but I enjoy a splurge every now and then too. Yes, I think now and then is great! All about balance. It is so easy to overspend on those guilty pleasures. Keeping track of what I spend my money on is a good idea. Yes, always a good thing. My husband and I were just talking about this. I love to eat breakfast out and it is easy to stop on my way home from dropping my daughter off at school. But I just cannot do it every day or it will crush my budget. Yes, so true. It is nice to enjoy the little things though. OH gosh yes! It really is important that we make sure that we are managing our spending when it comes to guilty pleasures like this. This sounds like a great way to do it! Thanks, it is important to set limits.